Biomedical metals are widely used as implant materials in the human or animal body to repair organs and restore function, such as heart valves, meninges, peritoneum and artificial organs. Alloying element affects the microstructure, mechanical property, corrosion resistance and wear resistance, but also influences the antibacterial and biological activity. Recently, antibacterial metal alloys have shown great potential as a new kind of biomedical materials, in which Cu has been widely used as antibacterial agent element. In addition, biodegradable metal alloys, including magnesium alloy and zinc alloy, also have attracted much attention worldwide. Cu was also used as alloying element to adjust the degradation rate. Thus, the role of Cu in the alloy design will be very important for the development of new alloy. 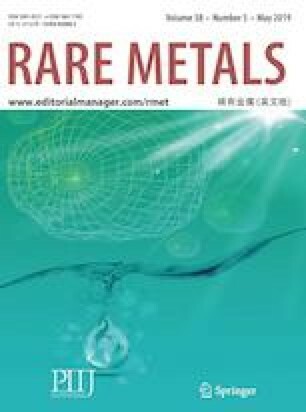 In this paper, we summarized the recent research results on the Cu-containing metal alloy for biomedical application and hoped that this review would give more suggestions for the further development of biomedical metal alloy. This work was financially supported by the National Natural Science Foundation of China (Nos. 81071262 and 31470930) and the Beijing Municipal Natural Science Foundation (No. 7161001).